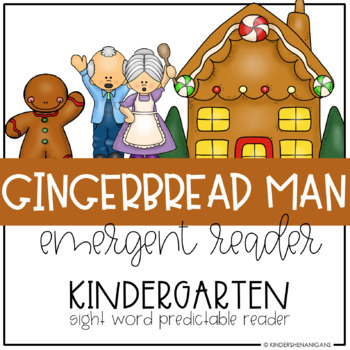 This is an emergent reader to help students learn to read or retell The Gingerbread Man. Each page of the book contains a predictable sentence about the gingerbread man. Students will be able to read and color each page of the book. Each page of the booklet also features pictures to support the text. The last page of the book offers your students the chance to add an additional character to the story, or to sound out the last character "fox" using the predictable sentences. 1. 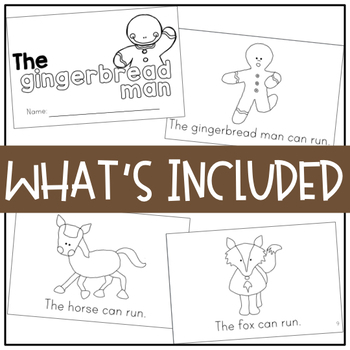 Copy "The Gingerbread Man" book for each student. 2. Separate book pages by cutting each 8.5x11” sheet in half. 3. Staple the books together for students.